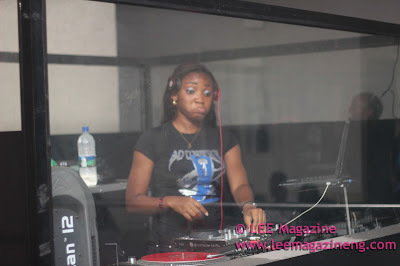 Deejay Soniq (@djsoniq), the opening act for Dj Xclusive at most events teamed up with Nigeria's no.1 female DJ Frizzie (@DJFrizzie) for a freestyle DJ'ing session of them deejays jamming together. The whole concept is not just about one deejay playing and beatmatching songs but for both deejays to do that simultaneously (playing in turns). Do watch and enjoy.